Palestinians check the damage at a water amusement park after it was set on fire in Gaza City, on Sunday. 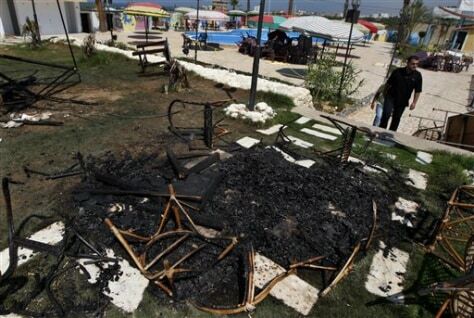 A Gaza amusement park accused of allowing men and women to sit together has been burned down. The park, which serves the territory's small elite, was shuttered by Hamas in August after men and women were seen mixing together.